What Happens When 911 is Called Regarding a Domestic Dispute? Well yes, the obvious result is that the police will show up at your door. But what then? 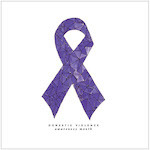 Texas domestic violence laws seek to protect romantic partners, spouses and family members from physical abuse. There is no doubt that it takes place. It is very unfortunate that people feel like it is necessary to harm another person. But sometimes it’s not clear who the real aggressor is and if harm has been caused. Another complicating matter is alcohol or drugs are involved creating irrational behavior. As a defense attorney who has handled many assault family violence cases, it is rarely clear that just an assault was committed by my client. I have rarely had a case where the man clearly assaults his wife or girlfriend as shown in the movies by actors or done by athletes on security videos. How Severe are the Texas Domestic Violence Laws? The Texas Penal Code Assault Statute ranges from a class C ticket to a 2nd degree felony for subsequent impeding breath allegations. 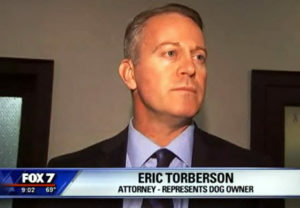 It is important to retain a qualified and experienced Texas domestic violence attorney. Through the years the law has expanded and grown more complicated. Having a conviction for an assault family violence case is bad enough. But having subsequent charges in court can be devastating. The family violence finding from the first case will follow any later charges making them a felony accusation with much higher consequences. This means that even a class C assault by contact case with a family violence finding will enhance the next charge to a 3rd degree felony in Texas. And generally it all boils down to whether pain was felt or not in the typical domestic violence assault case.